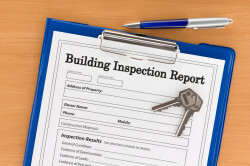 Do I need Building and Pest Inspection Reports? It is a question we often hear from a home buyer. Buying a house is likely to be one of the biggest investments you will make in life and it is surprising how many people contemplate not ordering a building and pest inspection report in order to save a few hundred dollars. Although a seller is required by law to disclose in the Contract for Sale certain defects relating to the property, it is only as far as the seller is aware. It is often the latent defects that can go unnoticed by an untrained eye. Building and Pest Inspection reports could reveal minor issues such as a leaking tap which can be easily rectified and at little expense or it could reveal a major defect such as structural damage or termite infestation which can cause a huge financial headache. Accept the property “as is” and attend to the defects yourself once you become the owner. Entering into a Contract with full disclosure and realistic expectations can significantly reduce the pressure of buying a home. If you are considering buying or selling a property, it is important that you receive legal advice prior to entering into a contact. Please contact the Conveyancing Team at Watkins Tapsell who can assist you with receiving the right advice for your next purchase or sale.